Christmas is one of my favorite holidays and I can’t wait for this holiday! Of course, there are some negative aspects to Christmas: shopping may be a big problem because there are lots of people crowding into almost all stores. But I like to make my family and friends happy with amazing gifts. Here is the list of 7 things I like about Christmas. I like decorating Christmas tree and I’ve had only one year when I didn’t put a tree in the house because of kittens. We had many kittens who had just learned how to climb and I knew that they would leave the house in a shambles and I would drive myself crazy trying to keep them off the tree. My great-grandmother had always baked cookies at Christmas. This was the tradition of our family, which passed onto my grandmother, mother and to me. My mother makes cookies occasionally, but I always bake many cookies for my friends and family. I enjoy seeing the faces of the ladies at the bank, the postman, or the teachers at school light up when they see a big plate of different cookies. Nothing evokes memories like smells. 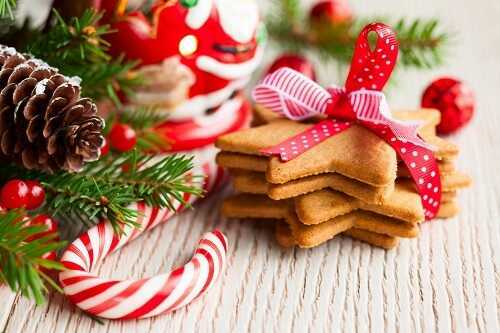 Smells, which I strongly associate with Christmas are cloves, cinnamon, and other spices, which my mother used to put in her cookies each Christmas. I really enjoy when the house smell like Christmas! I enjoy listening Christmas songs on the radio. On Christmas almost all radio stations play a great mix of traditional holiday songs as well as some new versions. I have a great variety of Christmas CDs, which I listen if I get tired of hearing commercial broadcasts on the radio. Christmas songs can make me really happy! Each Christmas I like watching some certain movies and cartoons namely Elf, National Lampoon’s Christmas Vacation, A Muppet’s Christmas Carol, Scrooged, and The Santa Clause. Nowadays most of cartoons and movies I grew up with are not shown on television, so I watch them online via the Internet. If I have time, I’d watch a Christmas cartoons and movies every day. I don’t decorate the whole house with Christmas lights, but I always decorate the porch with a great variety of string lights. I also run a colorful string lights around the bathroom mirror. And it’s one of several things I like about Christmas. During Christmas a number of ice cream manufacturers start producing the peppermint candy cane ice cream. On a cold winter day I like adding this ice cream to my hot cocoa. Some of the local stores in my town sell special holiday treats which are offered only during Christmas and then I have to wait until next year to buy them again. These are all things I like about Christmas. If you love Christmas, please comment on your favorite aspects of it. What do you specifically like/dislike about Christmas? Share your thoughts, please!